A good turn out this morning for the protest to launch the Save New Cross Post Office campaign. 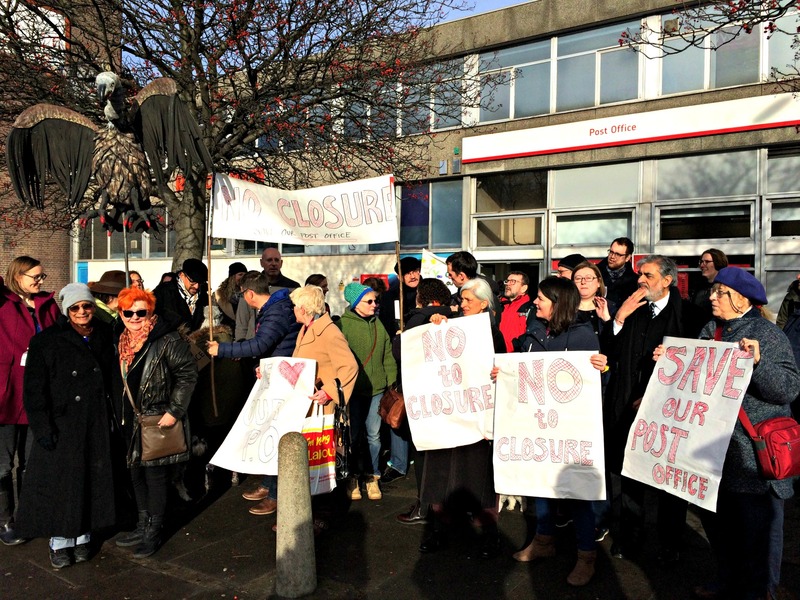 As mentioned here before, the busy community facility is threatened with closure. 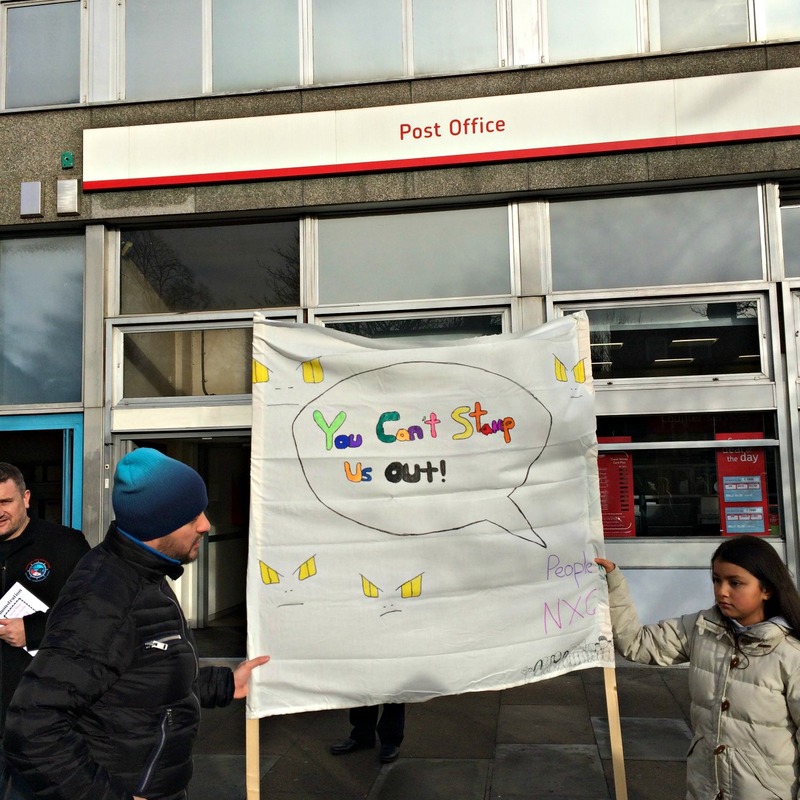 EastLondonLines reports, 37 Post Offices around the country are under threat, with the Communication Workers Union estimating the loss of around 300 staff on top of 2,000 post office workers who lost their jobs in 2016.